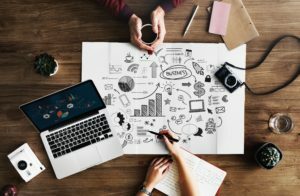 Physician Side Hustle Tools and Resources | Passive Income M.D. Starting a side hustle takes time, energy, commitment, and a serious passion for what you’re doing. Add in the crazy schedule of a physician, and it’s amazing any of us have the capacity to take on an extra project. It’s taken me awhile to get to where I am with this blog and my other side hustles, and there was definitely a lot of trial and error involved. So today I wanted to see if I could spare you some of the error part and share some of the most valuable tools and resources that help me run my businesses on a daily basis and that I think are a great fit for some of the many physician side hustles I hear about from you. Are you already using some of these? Want to start a blog? Bluehost is one of the best sites out there for web hosting, especially if you’re using WordPress. Their integration is smooth and simple and their annual prices are very affordable, making this the easy choice for new bloggers. When it comes to email marketing, ConvertKit is hard to beat. They’re a powerhouse and their platform and tools have the ability to really take your business to the next level if you’re looking to cater to all different parts of your audience. I recently switched over to ConvertKit myself not too long ago and I’m always impressed by the platform’s capabilities. Kajabi’s known as the #1 Knowledge Commerce platform for digital entrepreneurs who want to teach others online. And for good reason. It’s truly the easiest software I’ve ever used. Not only that, but it does pretty much everything you need to have a successful online business. It can help you with website building and hosting, email marketing, pipelines, etc…But they’re mostly known for their incredible ability to create and sell online courses, coaching, monthly memberships, and all types of digital products. They’re offering 28 days free when you go through this link, so feel free to give it a test drive and see if it’s something that might help you. For those who want to maintain an online presence, but don’t want to be standing by your computer or phone all day constantly coming up with content and sharing on social media platforms, Buffer is going to change your life. You can link all your social media accounts in one place and schedule content for days and weeks to come. Check out their different plans to see which one suits your needs. I use Canva to create simple graphics across social media platforms. Instagram posts, facebook banners, flyers, media kits, they have it all. Choose from their huge selection of templates to make your site more visually appealing. This app is the perfect tool for entrepreneurs and freelancers looking for an easy way to track all of their income streams, expenses, tax deductions, and more in one place. 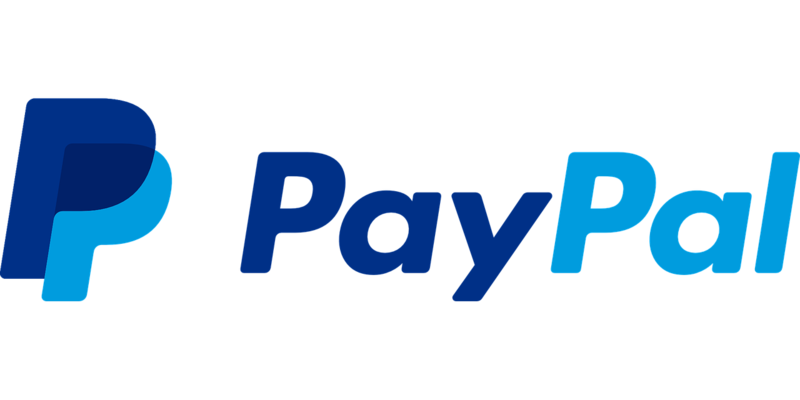 I’m sure many of you have used Paypal at one point or another, but I find it helpful in my own business to send and track invoices for advertisers, assistants, and other business- related expenses. 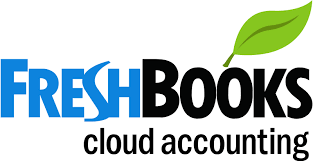 Freshbooks serves some similar functions as Paypal, though it’s a much more comprehensive and easy to use accounting software. It’s a valuable tool for small businesses to track expenses, manage invoices, log hours, collaborate on projects, and so much more, all in one place. Fiverr is one of the best sites to get small tasks done quickly and cheaply. It was originally named Fiverr, because you guessed it, tasks cost $5 to get done. Now you’ll see a wider range of pricing depending on the level of difficulty of the task and what extras you need (faster service, more options, etc.). It’s great for graphic design, music & audio, and even things like transcription services. Upwork touts itself as “the premier freelancing website for top companies to hire and work with the world’s most talented independent professionals”. It has a huge number of freelancers (more than 12 million) willing to do almost any sort of task of function you can think of. Want to find a virtual assistant? You can either post a job and have people respond with resumes or you can interview after looking through people’s experience and resumes online. They have their own billing system and way of tracking your freelancers hours as well. I’ve found some of my own virtual assistants through this very company. Slack is one of the top tools for team collaboration and communication across both small and large businesses. I use it daily for this site as well as my Curbside Real Estate team and it’s been invaluable in managing all the moving parts of a business on a day to day basis. If you need help in the organization department, Trello makes it easy to see all ongoing projects in one place and track your progress in each. For fellow bloggers, it’s a great place to keep track of your content calendar and all of your short term and long-term goals. With Zoom, you can record and host meetings, webinars, and more using either video or just audio. It also has screen sharing capabilities making it ideal for anyone creating training videos or doing live presentations. I’m sure most of you use Google Drive already or are at least familiar with Google Suite, so I won’t bother going into much detail, but it’s definitely still worth mentioning as a great resource to keep organized. Dropbox serves as a home for all your files and projects. It can handle larger size videos and files than many platforms, enabling you to share those projects via email. Once you upload to Dropbox, they’ll automatically sync across all devices using their app. Nowadays, it’s pretty much impossible to remember all of your passwords and it’s dangerous to keep using the same few across all accounts or store them in your notes app on your computer. With these two secure apps, you simply use one password to access your dozens of other passwords. They also offer customizable password generators, so you can be sure no one will ever guess your password. Simply put, Stessa makes rental property financial management a breeze. With this app, you can effortlessly track, manage, and report on all of your properties in one place. And just in time for tax season, they’ve put together a free rental property tax guide for any interested readers. For the DIY landlord looking to streamline the way you manage your rental properties, look no further. Avail allows you to find tenants, view credit history, sign leases, collect rent, and everything else you can think of that comes with running your own property. Cozy is another great tool that allows landlords to manage their properties with less stress. This app enables users to easily list properties, screen tenants, and collect rent for free. While there is certainly overlap in features with Avail, there are a few key differences between the two, so it’s important to do your research and see which is a better fit for your purposes. What are some of your favorite side hustle resources and tools? What did I miss?